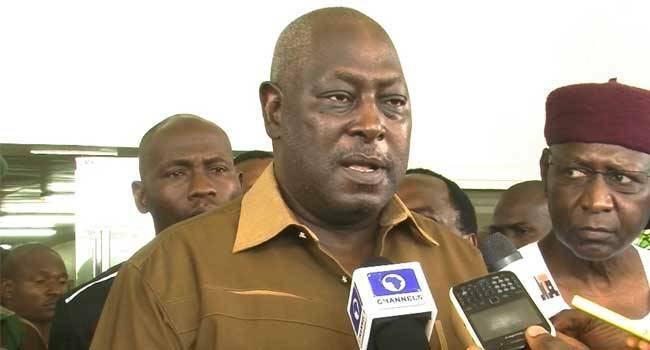 A High Court of the Federal Capital Territory (FCT) on Wednesday granted bail to the former Secretary to the Government of the Federation, Babachir Lawal. Mr Lawal and others are facing charges of corruption. The ex-government secretary was indicted for allegedly using his companies to get contracts worth millions of naira in the North-east without executing the contracts. 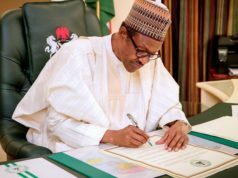 He was removed from office after he was indicted by a Senate committee which investigated the management of funds meant to assist the Boko-Haram ravaged North-east. 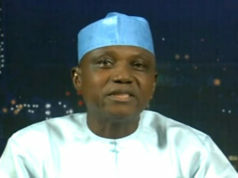 As part of the bail conditions, the judge ordered that the defendants pay N50 million each with one surety in like sum. “The sureties must be residents of the FCT and must own landed property. “The sureties must also provide evidence of tax paid in the last three years. “Pending compliance to the aforementioned conditions, the applicants are to remain in the EFCC custody,” Mr Okeke added. The court further noted that each of the defendants is to deposit his international passport with the court pending the fulfilment of the bail conditions. Mr Okeke adjourned to March 18 for the commencement of trial. The EFCC had filed charges against Mr Lawal and Hamidu David, Suleiman Abubakar, Apeh John and two companies Rholavision engineering Ltd and Josmon Technologies Ltd.